Happy Halloween from all of us at Monarch Carpet, Drapery & Upholstery! 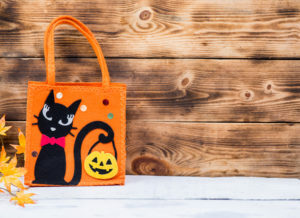 Are your kids’ costumes ready? Are you and your partner dressing up this year too? Do you have your Halloween decorations out, and the candy bowl ready? There are so many preparations to be made for a spectacular Halloween. And you know what happens once Halloween ends… Thanksgiving, Christmas, Hanukkah, Kwanzaa, New Year’s celebrations are just around the corner! Which room would you like to update first? If you’re not exactly sure which flooring option would be best for your particular home and personal preferences, don’t worry. When you choose Monarch Carpet, Drapery & Upholstery, you have our flooring experts at your disposal. Start browsing our Room Ideas page for some excellent flooring ideas for each room in your home. You can also schedule a free in-home consultation with one of our flooring experts – just call (877) 766-6272 to schedule it at a convenient date and time. There, we’ll be happy to take some measurements, talk to you about our flooring options and give you great recommendations, and provide you with a free estimate for your next flooring project. You’re also invited to our flooring showroom, where you’ll be able to touch real flooring samples and speak with our helpful staff. We’re located at 3007 West Temple Street Los Angeles, CA 90026 and business hours are Monday–Friday 7:00am to 5:00pm. 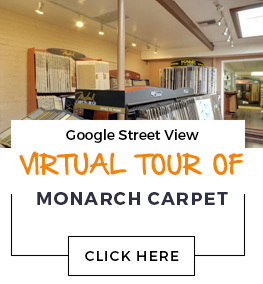 When you choose Monarch Carpet, Drapery & Upholstery for all your flooring needs, you’ll be able to rest assured that your home is in impeccable hands. We have assembled a knowledgeable, experienced crew of professional flooring installers, who will make sure every single inch of your new flooring looks perfect. You’ll be able to rely on your flooring from Monarch Carpet, Drapery & Upholstery to look and function great for many years to come. Give us a call at (877) 766-6272 to get started today! Welcome trick-or-treaters, Thanksgiving feasters, and other holiday celebrators to your home in style when you upgrade your flooring with Monarch Carpet, Drapery & Upholstery. We only sell and install premium flooring from trusted, top manufacturers like Anderson, Masland, Shaw, and many others. Upgrade your bedrooms with plush carpet, transform the living room with hardwood, or enhance the bathroom with new tile flooring – the choice is yours! One thing is for sure – you’re going to love your new flooring from Monarch Carpet, Drapery & Upholstery. Give us a call at (877) 766-6272 or stop by our flooring showroom at 3007 West Temple Street Los Angeles, CA 90026 today to get started. Happy Halloween and Happy Holidays from all of us at Monarch Carpet, Drapery & Upholstery! Monarch is your full-service provider for all things flooring. We carry an ample selection of wood, carpet, vinyl, laminate, and natural fiber flooring, and we also offer custom area rug fabrication. After 75+ years in the business, we are true experts in all kinds of flooring. Browsing online to narrow down your options for new floor coverings is all well and good, but before you make your final decision you will definitely want to see samples in person. Come browse our fully stocked showroom to see and feel various options for yourself. 2019 © Monarch Carpet, Drapery & Upholstery. All rights reserved. 3007 West Temple Street, Los Angeles, CA.